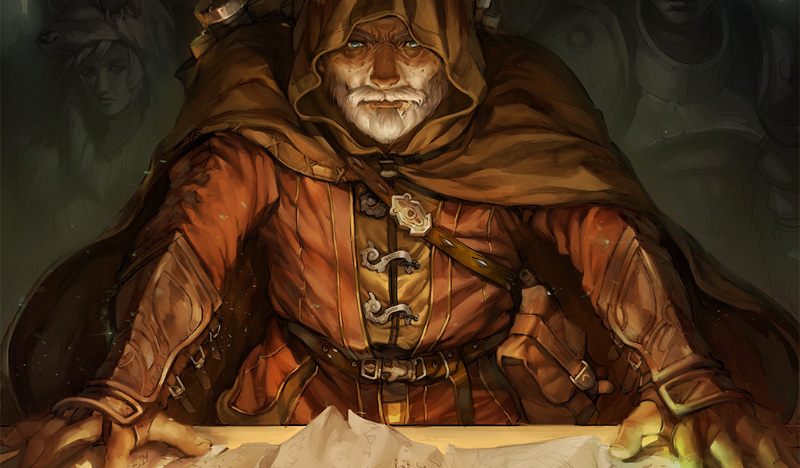 I have recently started to play Scrolls, the new CCG from Mojang – the guys behind Minecraft. I have got to say I’m loving it! I sank a good 20 hours into it this past weekend and I believe I will stream a few matches later on this week and discuss several things I have discovered helps me immensely and maybe even do some theorycrafting. Be sure to check out the trailer at the end of this article! Here are some tips from the redditor csharpist that will help any new Scrolls player. 1. Scrolls is not MTG; don’t get frustrated when you fail. It can be quite annoying and humbling coming from MTG and doing rather poorly in Scrolls; especially to someone (like the Easy AI) who “plays like a newb”. Remember, you’re the newbie now, at least for a little bit. 2. Do not hold on to scrolls in your hand unnecessarily, often discard (sacrifice) them for mana (resource) or draw two. Yeah, it’s tempting to hold on to “that awesome guy” scroll or “the killer spell that you can play in 2-3 turns,” but don’t do it. What you need this turn can very well be the last thing you need next turn. 3. Everything is played at sorcery speed. Yes, there are no counterspells, no ‘instants’. So remember to strategize properly during your turn, once it is the opponent’s turn you are not allowed to act. This related to the second tip in that you should not hold on to control cards “just in case” (see tip #4 as well). 4. Stop worrying about the graveyard. The graveyard is recycled back into the deck you draw from automatically (and behind the scenes). Your creatures keep dying? You keep casting your ‘good’ spells? Feel uneasy discarding your ‘awesome guy’ for mana? Hate to discard that boomerang that you know you’ll need just for two scrolls? Quit worrying. All of those scrolls will be reshuffled back into your library at some point and you’ll see them again. Play what you need to play for the turn. Discard freely for mana/scrolls. 5. Don’t get cozy with your mana (resource) pool. So you got 5, 6, or maybe even 7 resources and can play your highest casting cost scroll? Great, but don’t stop discarding for additional resources yet. The battlefield can change quickly and many times you will have to play several creatures/spells in a single turn to gain the advantage again or simply stay alive. Shorting yourself because you ‘had enough’ mana before will only cause you to lose when battles get dragged out. 6. Don’t immediately play what you draw out of desperation or excitement. You may be in a pinch and you draw a scroll that you know is going to help a good bit. Or maybe it’s your favorite ‘awesome guy’ scroll. Think carefully before playing it, especially late-game when you have a higher resource pool. That one scroll might be helpful, but what about sacrificing it for two even better ones? Unless that single scroll is going to win the game for you that turn, I’d recommend discarding it for two more. I’d be willing to say 80% of the time the two you draw are better together than the single one you drew at first. Even if only one of the two you draw is good, you have a spare to discard next turn to prevent being faced with the same dilemma again. Now if both are good, do play them and repeat the discard procedure (see tip #4). If you have bad luck with this, it’s probably more to do with your deck lacking consistency rather than your streak of luck. 7. There is no sideboard so make sure your deck has some situational scrolls. While there is no sideboarding, you should always take some scrolls that help with the ‘what-ifs’. Considering any scroll that is useless at the time is worth a mana (resource) or two more scrolls, it doesn’t hurt to pack some in. Now that said, don’t go overboard and water down your deck with every possible scenario. There’s no reason a deck should not have some removal, burn, control, or prevention if your type has it. 8. Build cohesive decks and keep your scroll count low. Unless you’re building a ‘funny deck’, keep it at a maximum of 60 scrolls. The minimum is 50 and the low-to-mid 50s won’t hurt either. The point is that your deck should start to ‘loop’ (once the graveyard is recycled) so that it is consistent. Having a variety of one-of-everything is only going to make your deck hit or miss (and probably more miss). Once you go over 60 you may start to see your deck perform worse in longer matches as it can’t recycle the graveyard yet. 9. Avoid ‘multi-colored’ decks until later. I know it may be tempting once you get some of the scrolls and detect the synergy between Order, Energy, and Growth… but just don’t. Let yourself get comfortable with the game, the play-style, and a good scroll library built up first. Multi-colored decks can be powerful but require a lot of balancing and the proper scrolls, don’t get ahead of yourself. 10. Utilize the benefits of your deck type. Each type (Order, Energy, Growth) have certain play-styles which maximize performance of the deck. For example, a few human units for Order will give attack/defense bonuses to the entire row of friendly units. They also have several units that are ‘spiky’ and make great front-line defenders. Between those two aspects, you can tell formations are very important and moving around is key in an Order-based deck. 11. Never gauge your deck’s performance against the Trial matches. Trust me, it’s hardly an accurate representation of a match. I still speculate that there are ‘rigged’ calculators and whatnot for these compared to normal matches. Point being, I have decks have been proven to be excellent both in single and multiplayer but are absolutely horrid in many of the Trials. Want to know how your deck fares? Play the AI or someone, don’t do a Trial. 12. Use the trade channel. At the heart of it all, it’s a trading card scroll game. Whether you like to trade for collecting/completion, competitiveness, or simply just as a social thing — do it. From my interactions it has been quite pleasurable. It’s very easy to find what you are looking for and just as easy to trade away what others are seeking. Don’t be afraid to trade using gold if nothing interests you or them, it’s the only way to buy new random cards/packs. 13. Sometimes, especially starting out, you lose because you lack the good scrolls. While player skill and strategy does play a huge part of the game, having access to the uncommon and rare scrolls doesn’t hurt. The starter decks do a pretty good job of giving you a place to begin, but there is always room for improvement. Also, having multiples of the more rare scrolls helps draw consistently. Fortunately, this phase doesn’t last too long once you start buying additional ones and trading around for the ones you need. This is another reason I mention tip #9 early out along with tip #12.